For our loyal customers and those who joined us lately we created this FREE Newsletter, which you can subscribe for right here on this page! This is our archive of all sent Newsletters for you not to miss something topical or important. Join us, learn everything you're interested in, get to know more about your dog's life and features and enjoy reading this entertaining, yet informative source!! One of the highest values of human society and the most effective ways to receive joy of life is an unselfish help to others. Dogs enjoy such selfless help to a great degree. Unconsciously they follow us in many dangerous activities saving not only time and manpower, but also lives. For example one dog will work as efficient as three police officers when detecting a burglar in a school building. - Isn’t it great that dog society is devoid of money?.. - Our love and affection seems to be the most valued currency for canines. But its not the only benefit they get from helping people. A surprising at first glance investigation states that search dogs are living up to 12 years and many of them reach the age of 16, which may be a vivid proof that regular physical and mental exercise enhances working dogs’ well being. 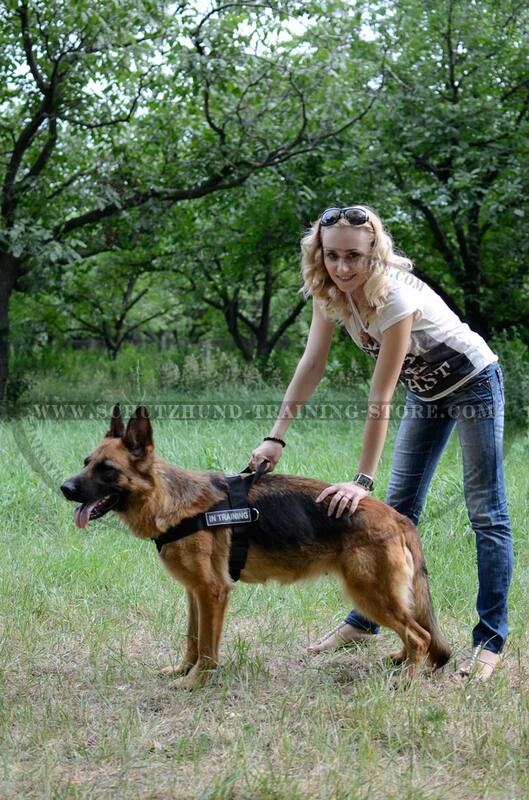 When performing difficult tasks working dogs are exposed to health risks as well as people. They have a better filtering system in their noses than people, so changes in respiratory system seems to be minor, but often it is a dog’s heart that is exposed to changes. Still there are many problems dogs avoid due to prudence and care of their future owners. Learn more from the article that follows. All edges of this collar are beveled and surfaces are burnished for use even in most strenuous working situations. It is smooth like silk therefore agreeable to touch. 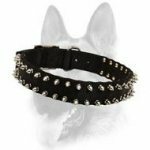 Your dog will enjoy wearing this collar for Identification purposes while working/training and daily walking. 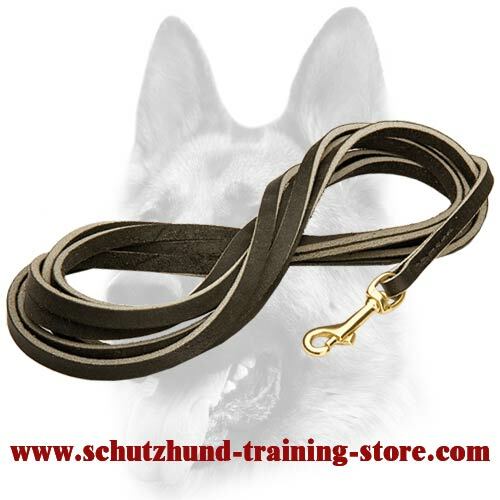 Superior latigo leather tracking leash with cast solid brass snap hook. Characterized by incredible durability, long service time and convenience in use for various tasks. Created to help achieve best results in tracking, search and rescue, guarding, patrolling work.